Meatless Monday at Langara College. Mark May 15th in your calendars! In an effort to raise awareness of the links between diet, the environment, health and animal welfare, Vancouver Mayor Gregor Robertson has proclaimed Monday May 15th, 2017 to be Meatless Monday. 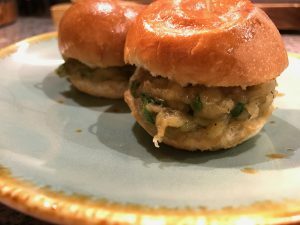 The globally popular movement, aimed at increasing awareness about the impact of our food choices and improving access to humane, healthy and sustainable food options, has been gaining popularity in Metro Vancouver. 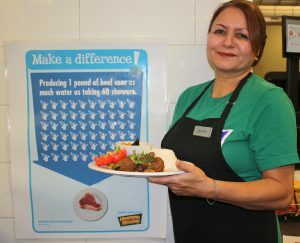 To date, ten schools have embraced the “once a week, cut the meat” message, with the most recent being Sutherland Secondary in North Vancouver. Sutherland launched their cafeteria campaign with the leadership of their new Meatless Monday club, comprising students who are passionate about the impact eating meatless has on pressing issues like factory farming, climate change and individual and public health. Sutherland’s Meatless Monday club got its start after students learned that Capilano University was implementing the meat reduction initiative with support from VHS. Program Coordinator, Emily Pickett, was thrilled to help Sutherland’s Meatless Monday club bring the campaign to their cafeteria. Just a couple of months in and the club has worked closely with food service provider, Amaga Foods, to add and promote delicious menu items like Mexican bean burritos, Mediterranean chickpea salad, tofu fried rice and lentil vegetable curry with rice. The Mayor’s May 15th Meatless Monday proclamation is not only a great show of support for the local schools, businesses and individuals who have already embraced Meatless Monday, but it may be just the type of encouragement needed to take Meatless Monday to the next level! VHS has invited other Lower Mainland municipalities to follow Vancouver’s lead and pass similar proclamations in solidarity and is encouraging citizens, schools, businesses and the community as a whole to embrace plant-based eating on Monday, May 15th (and every Monday moving forward)! Get in touch with Program Coordinator, Emily Pickett, to learn more and get involved.